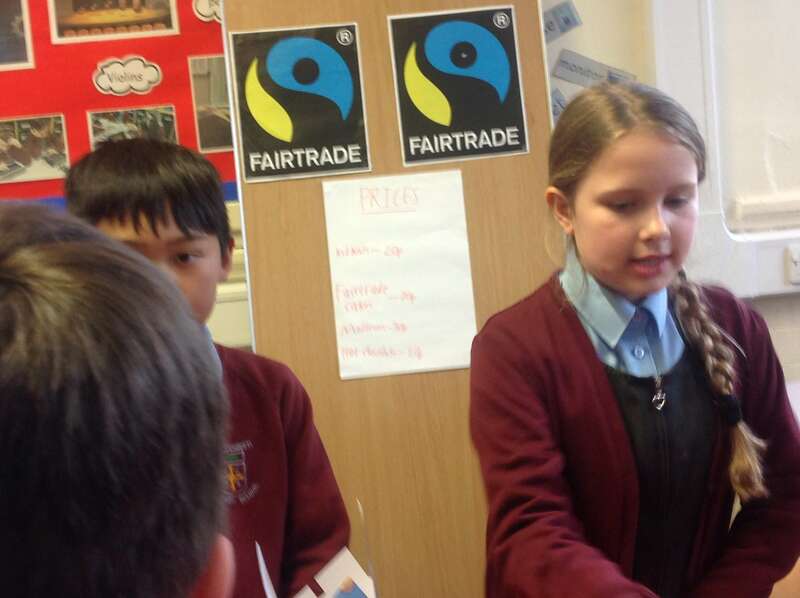 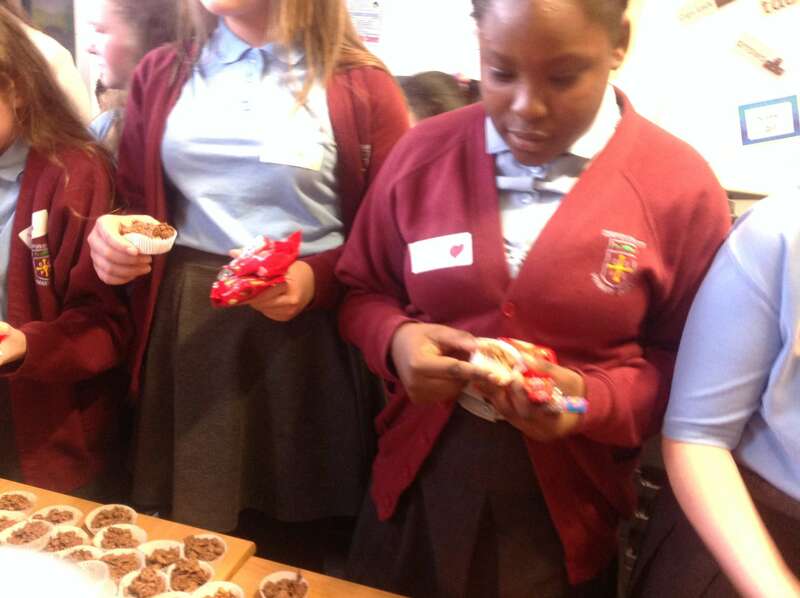 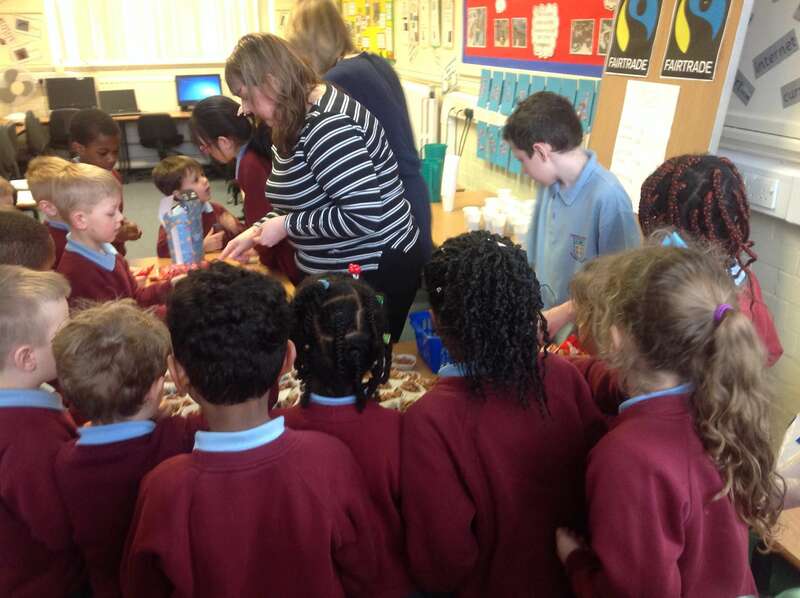 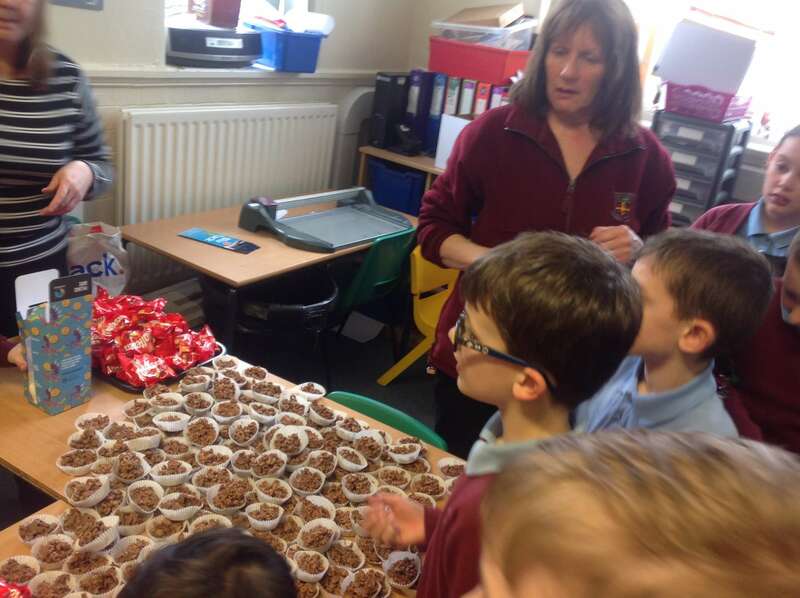 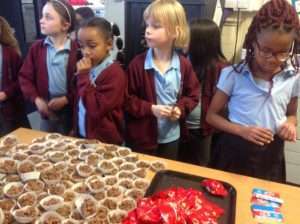 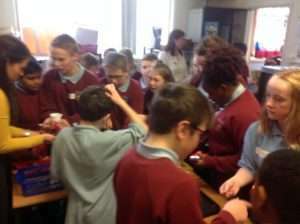 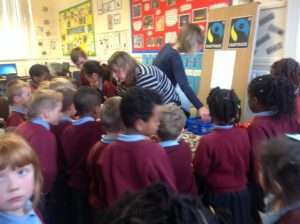 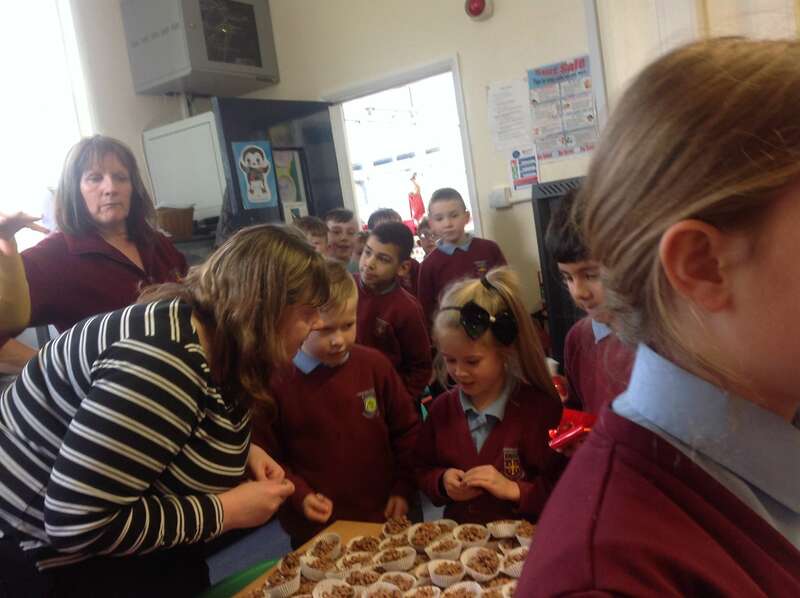 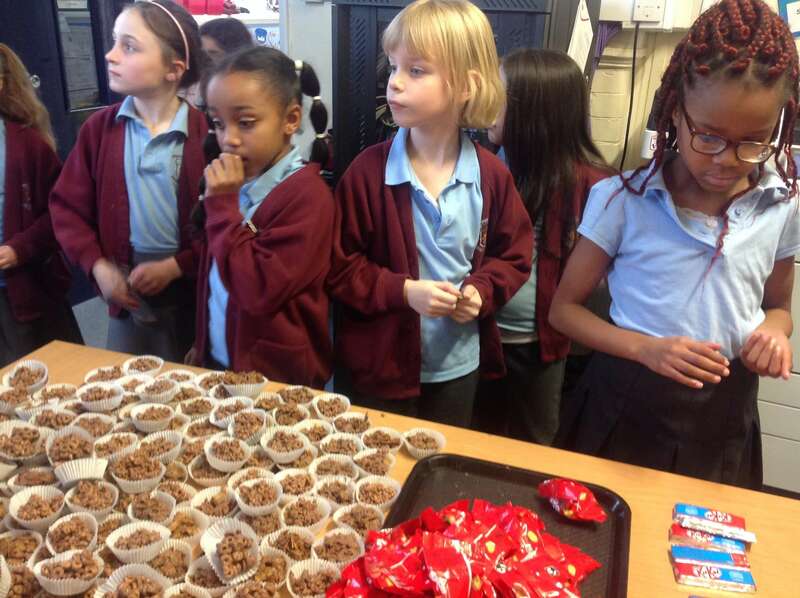 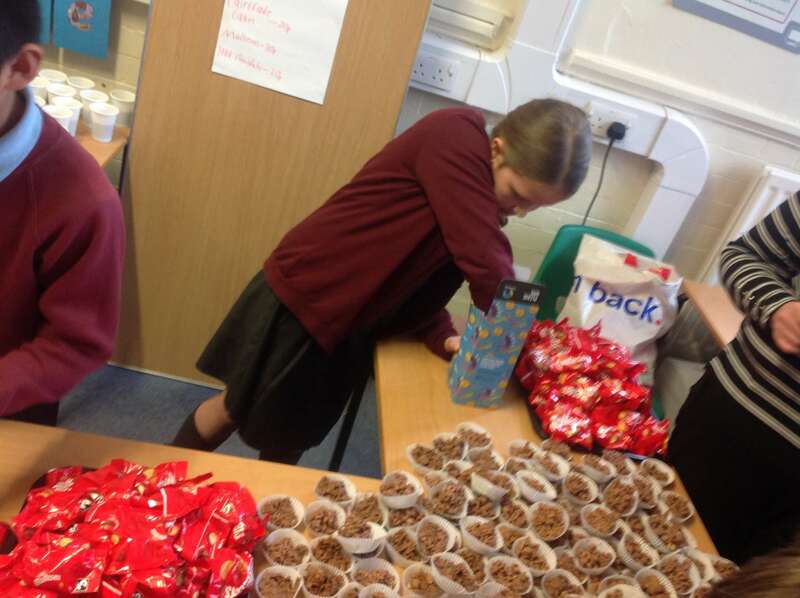 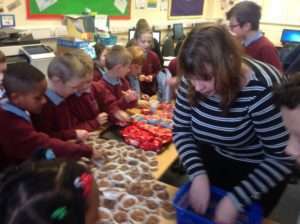 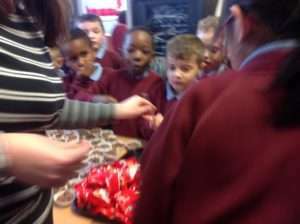 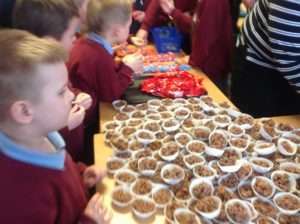 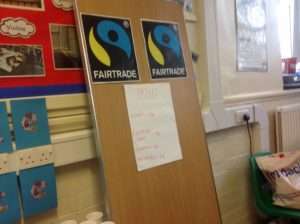 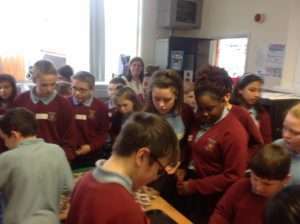 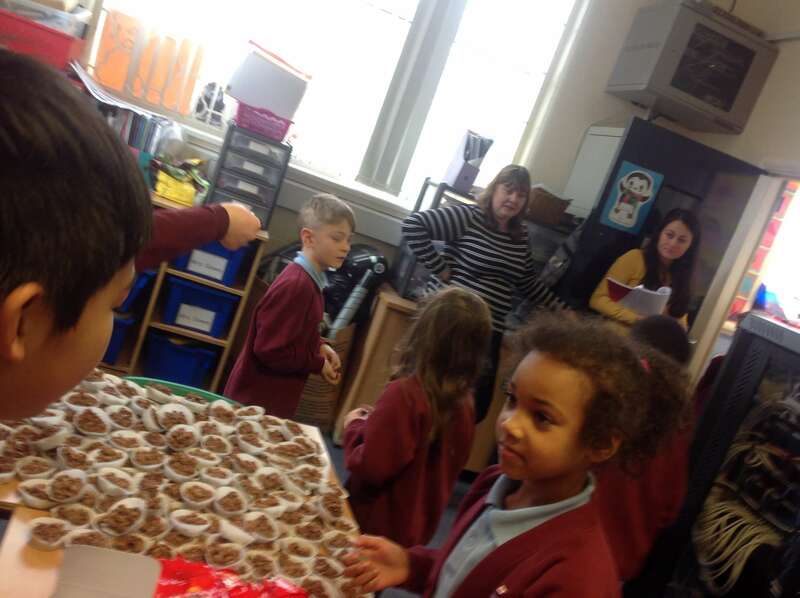 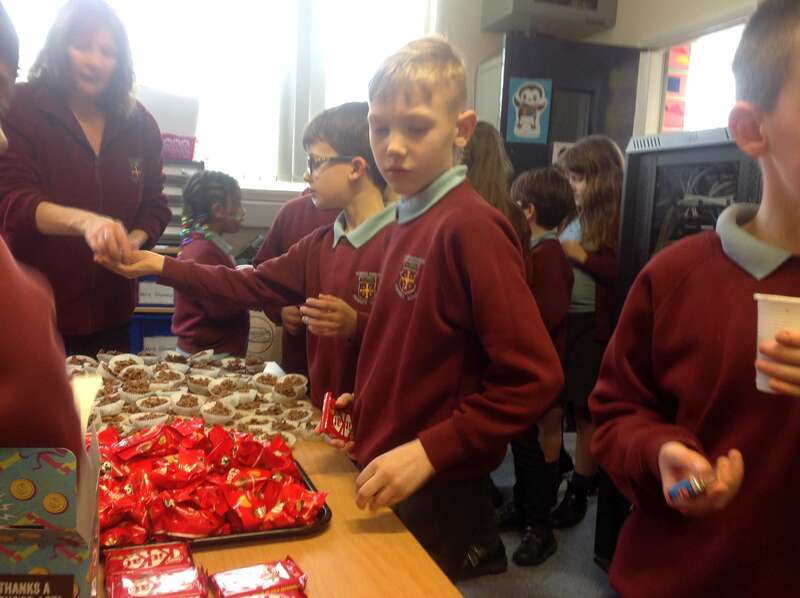 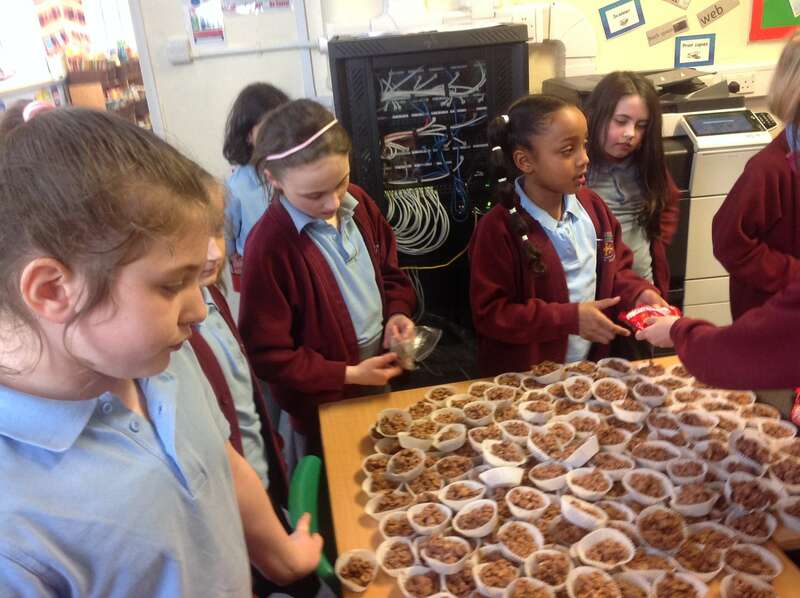 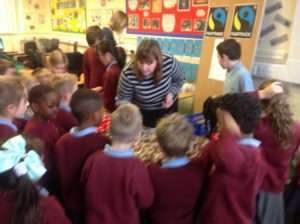 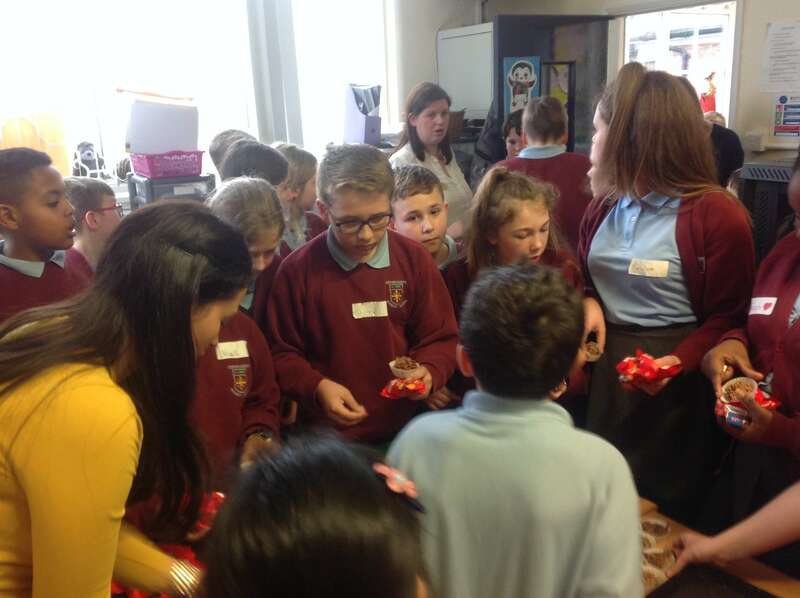 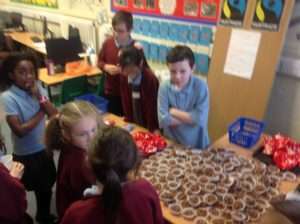 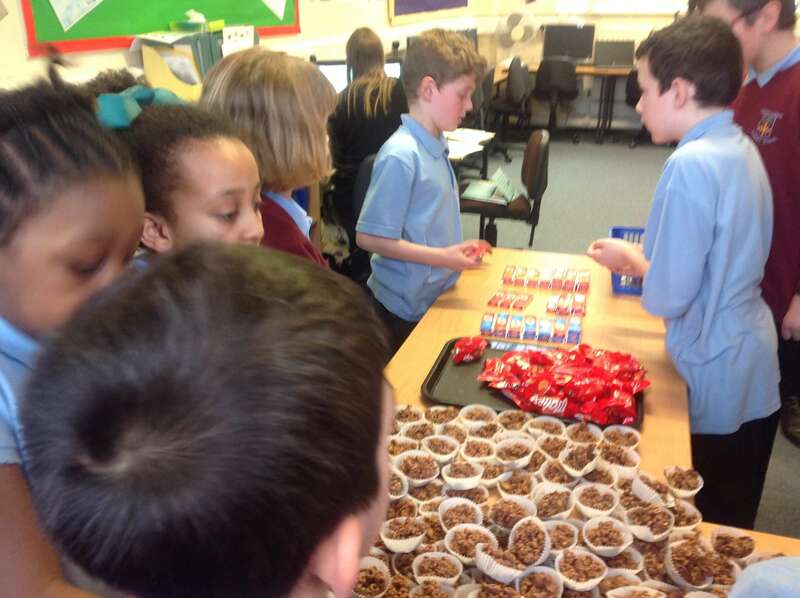 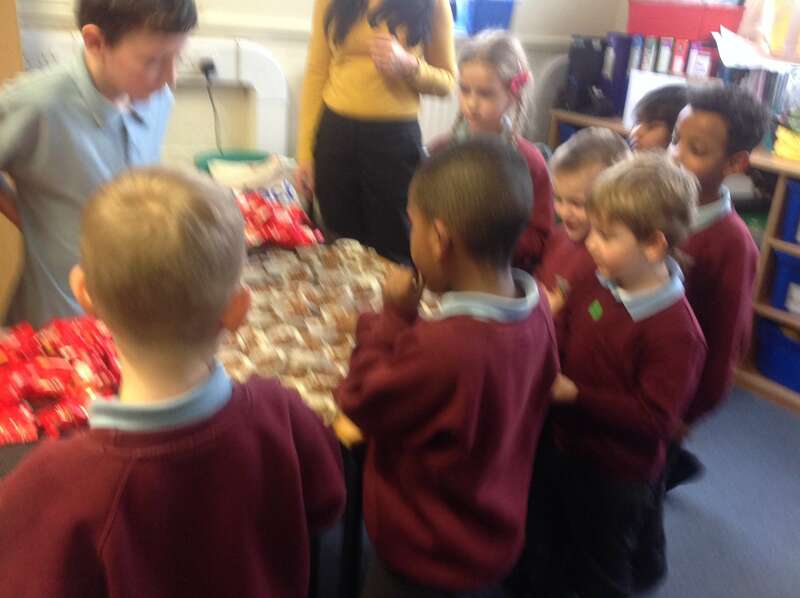 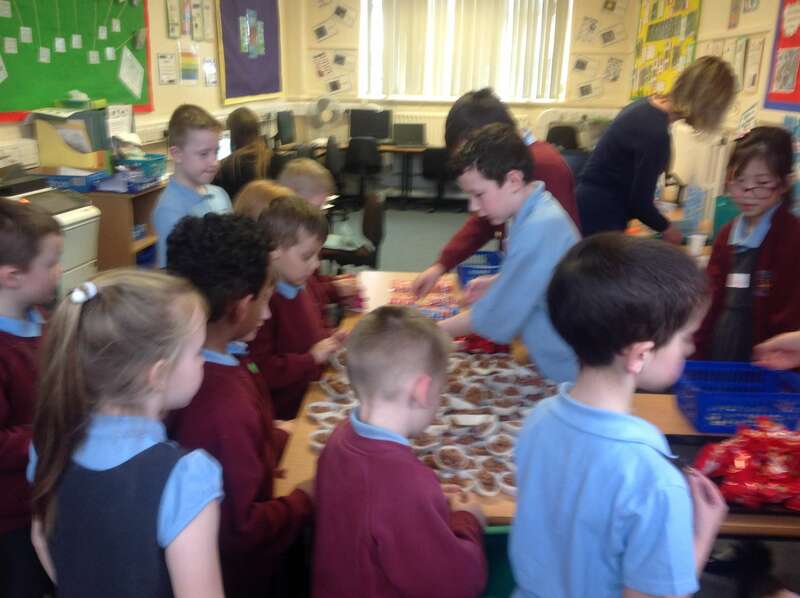 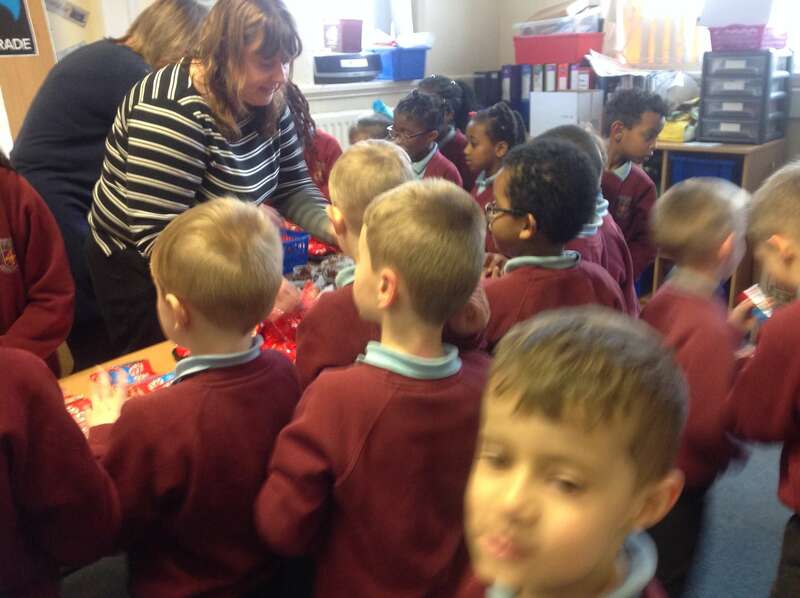 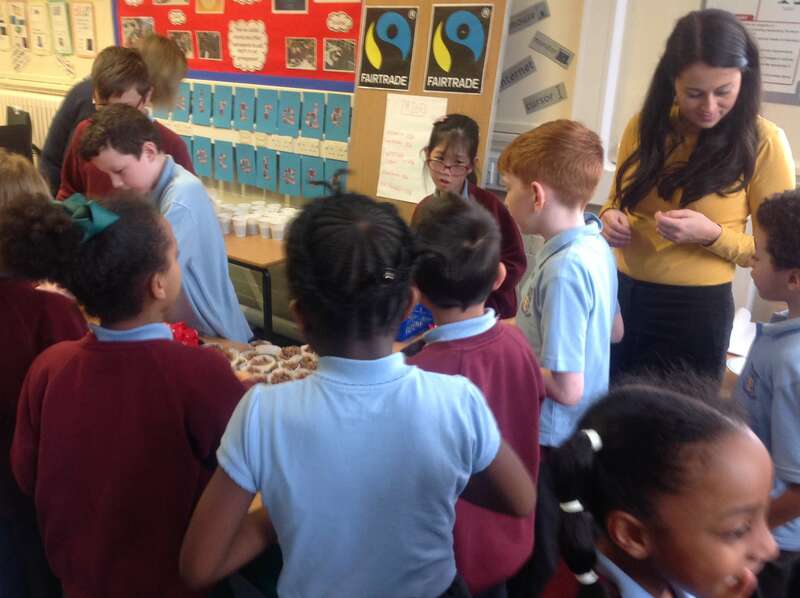 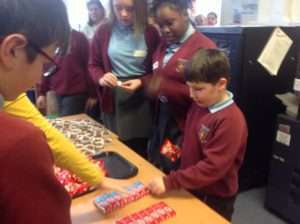 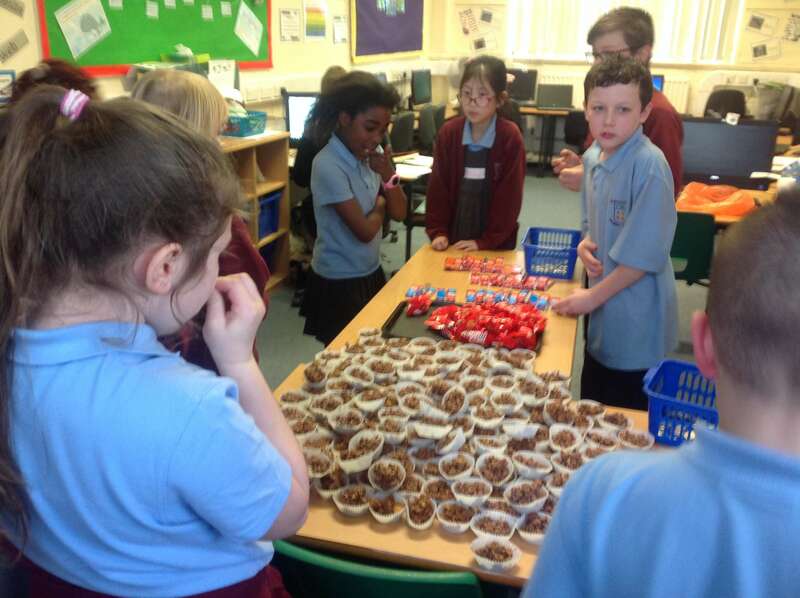 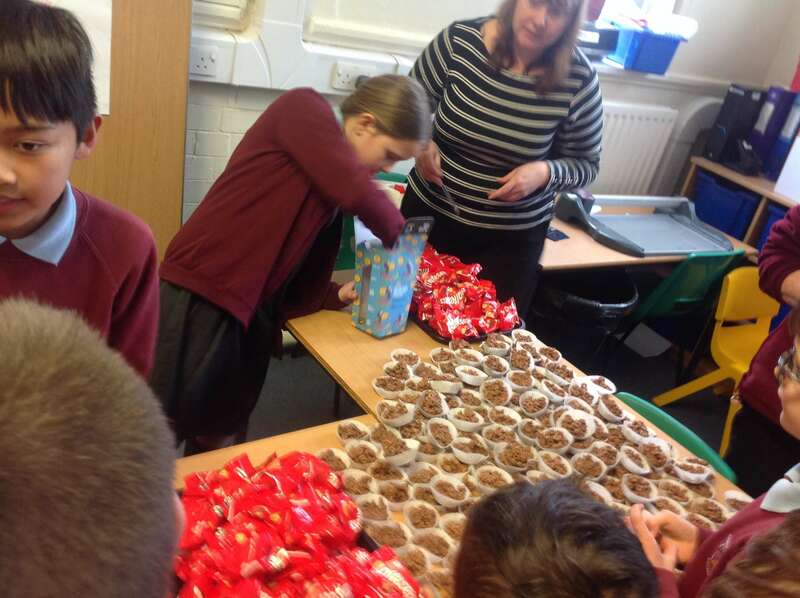 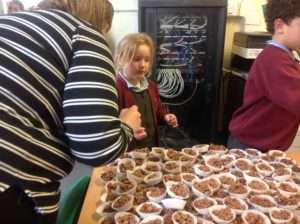 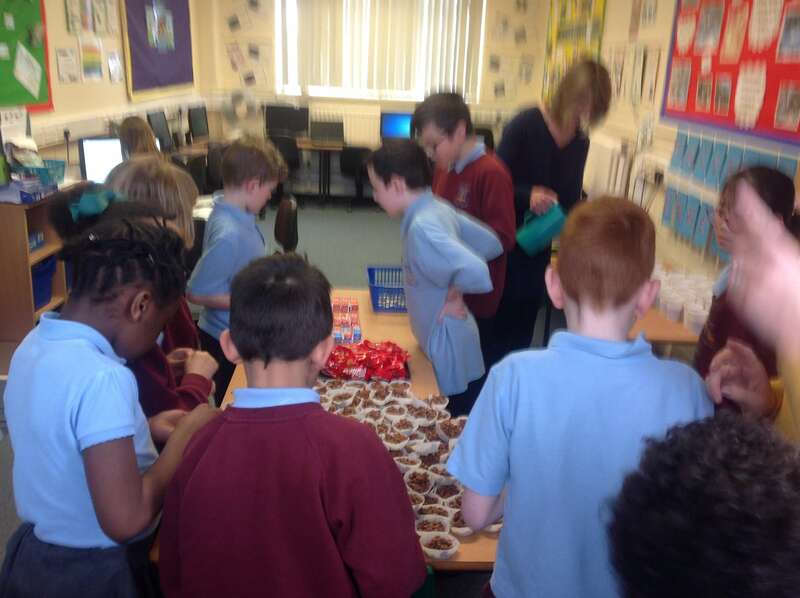 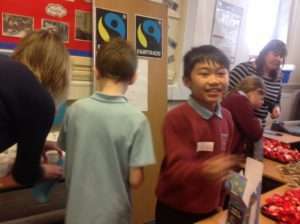 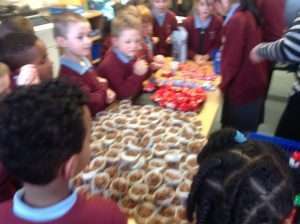 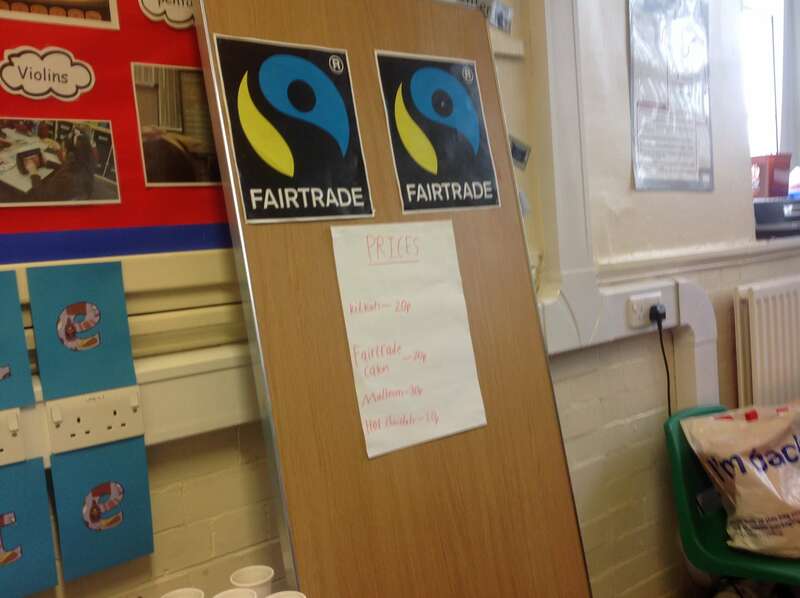 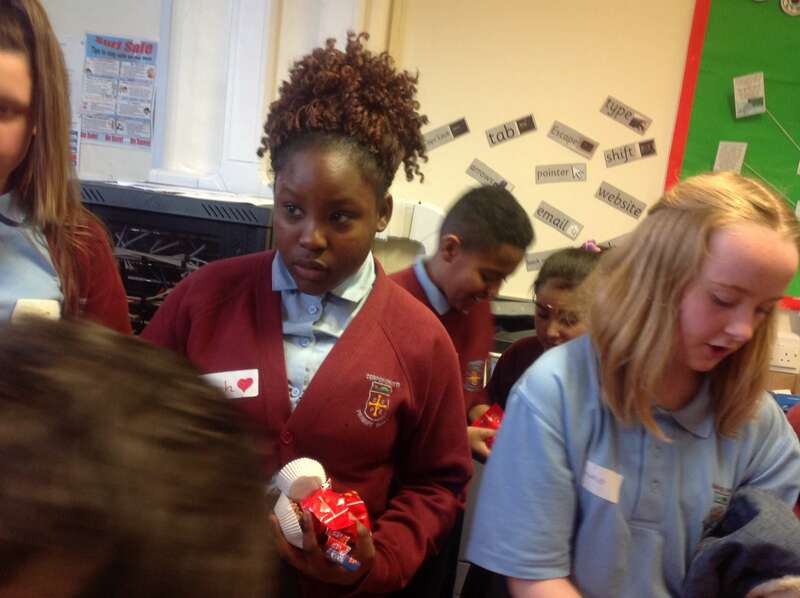 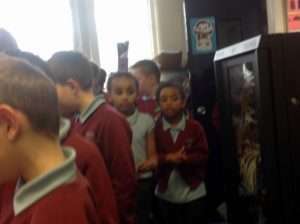 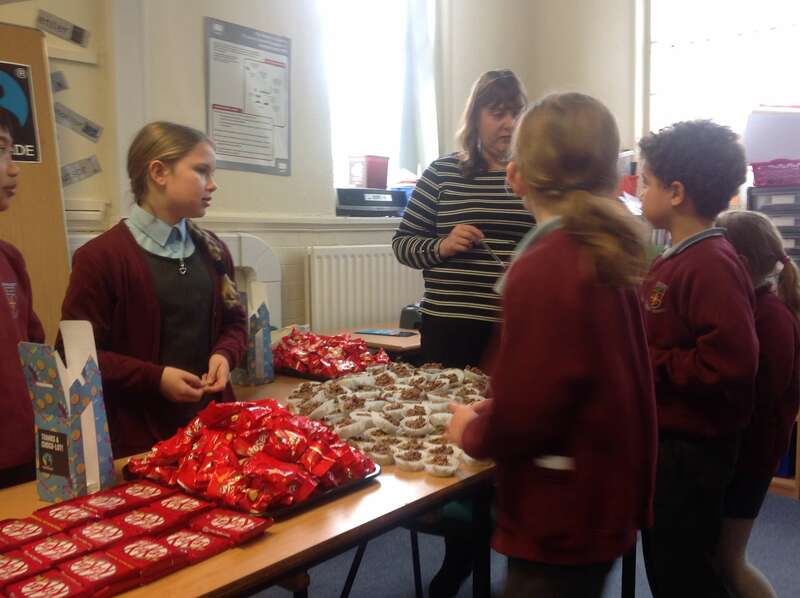 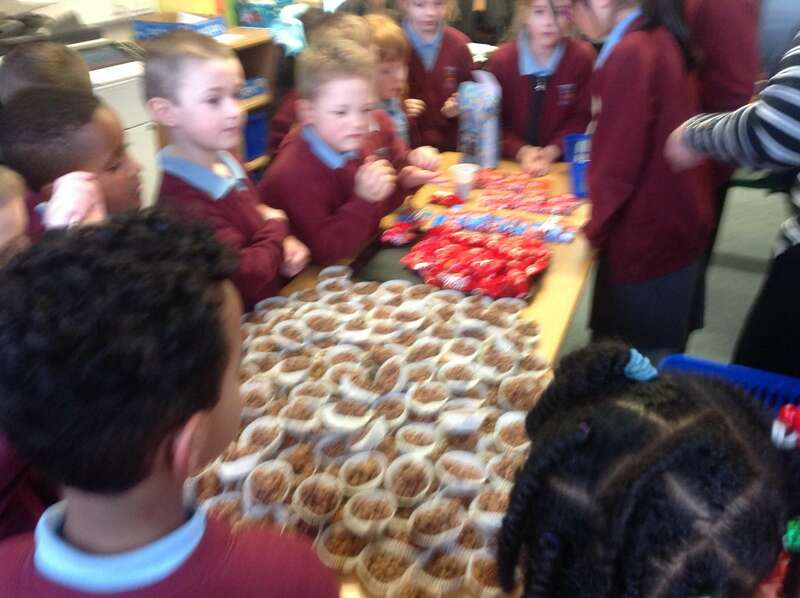 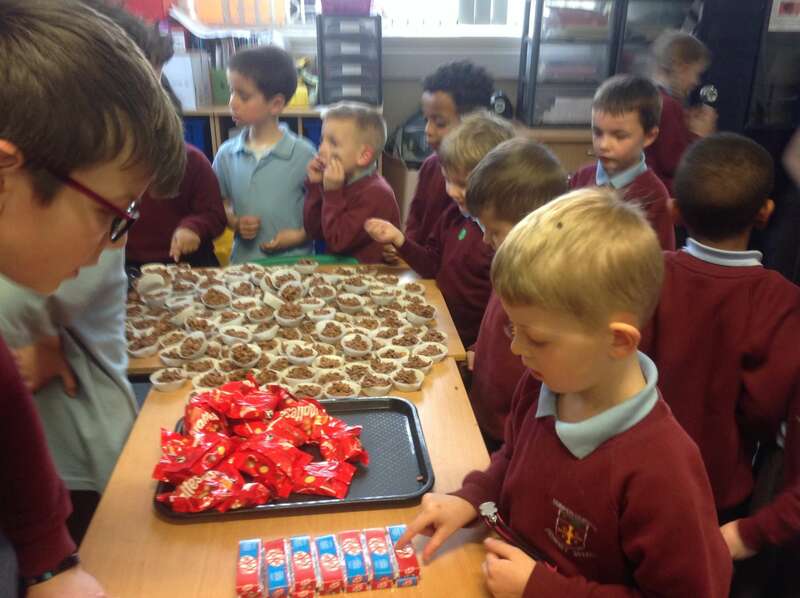 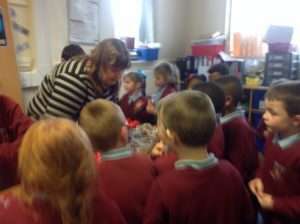 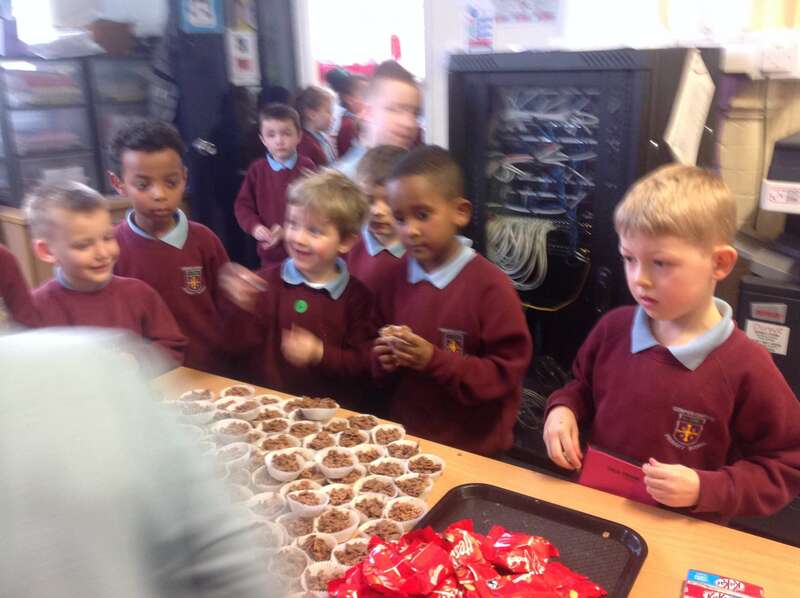 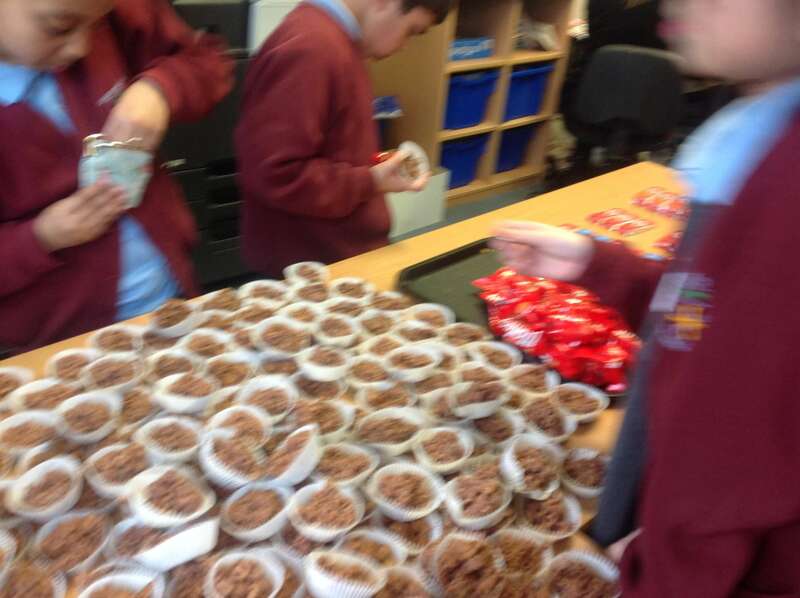 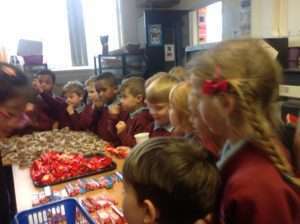 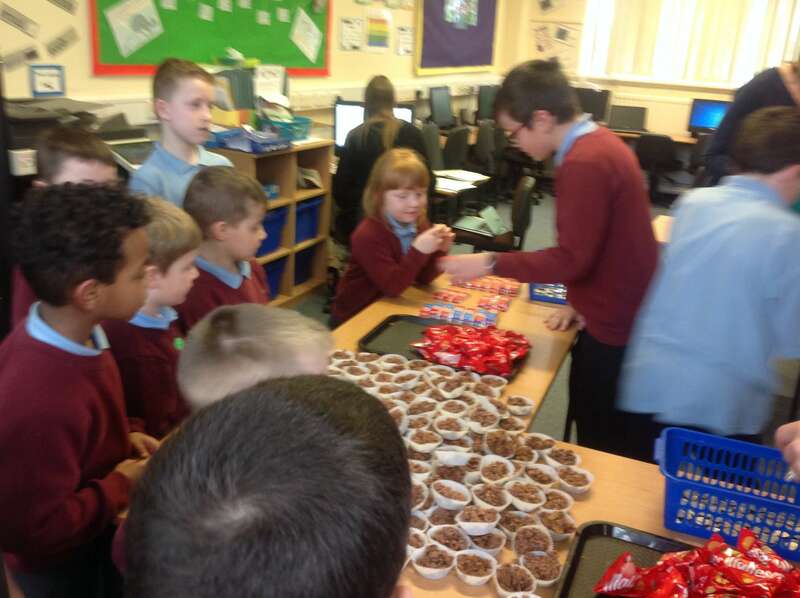 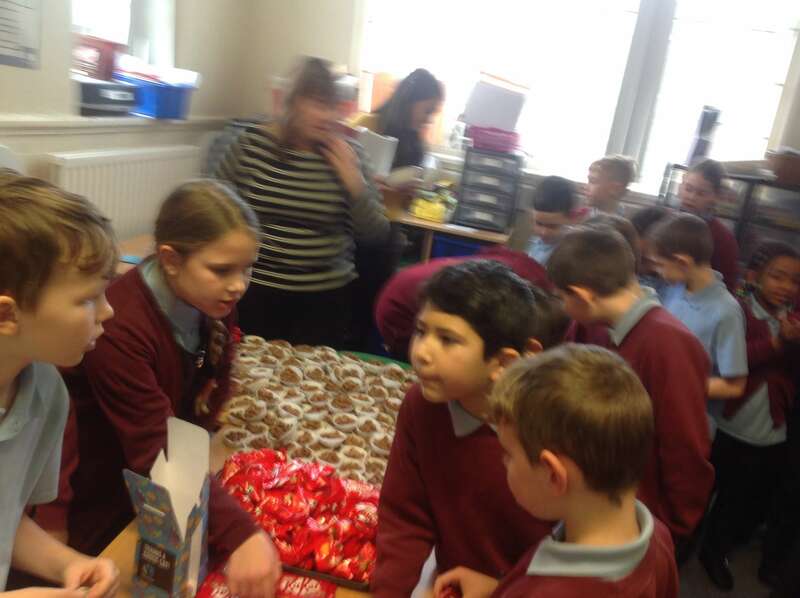 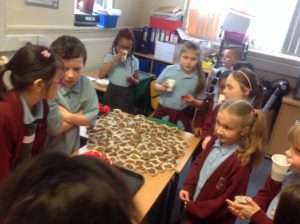 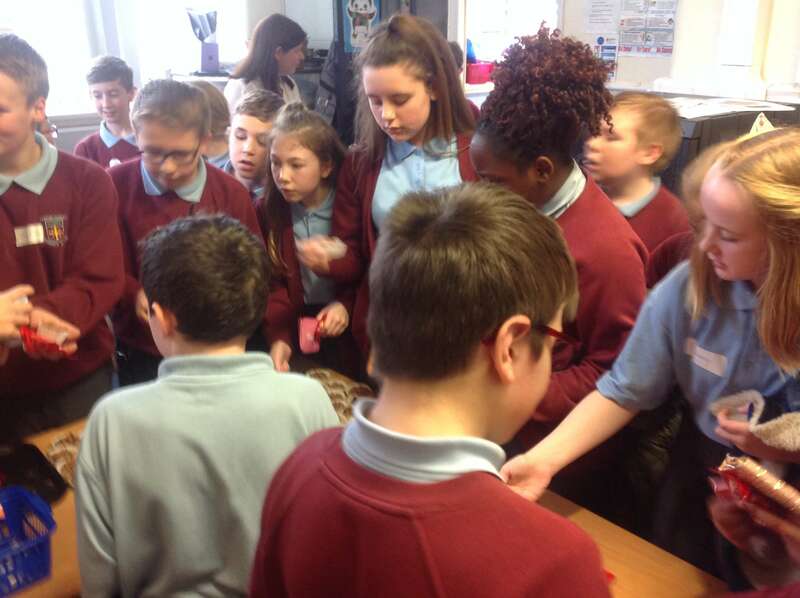 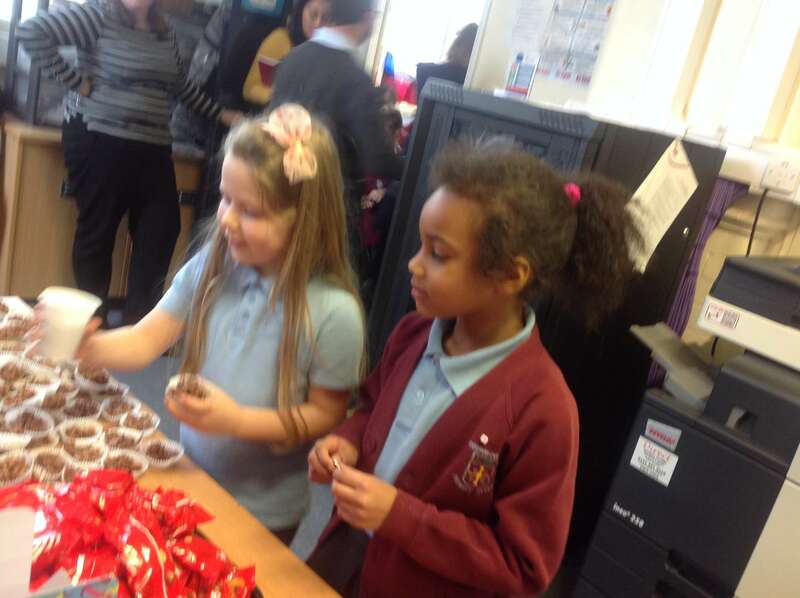 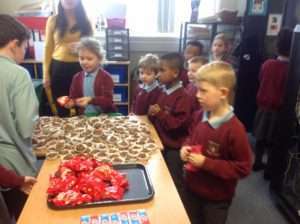 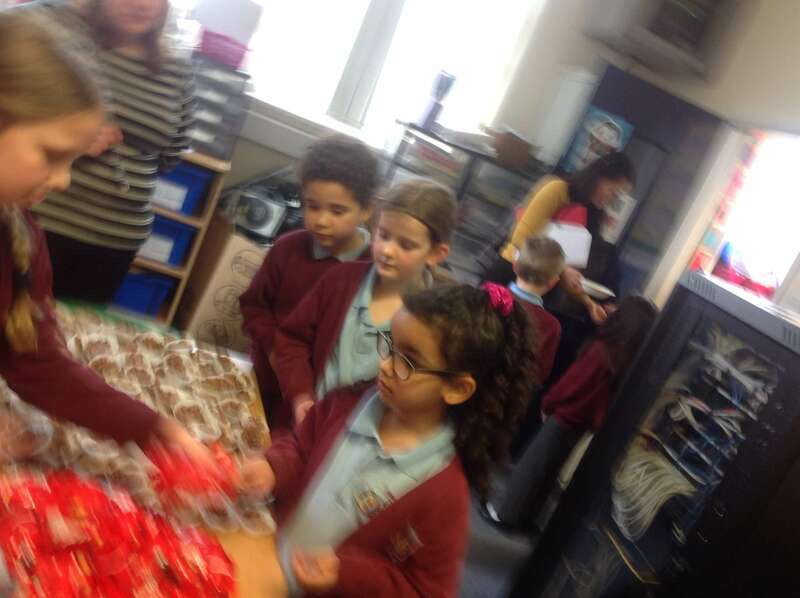 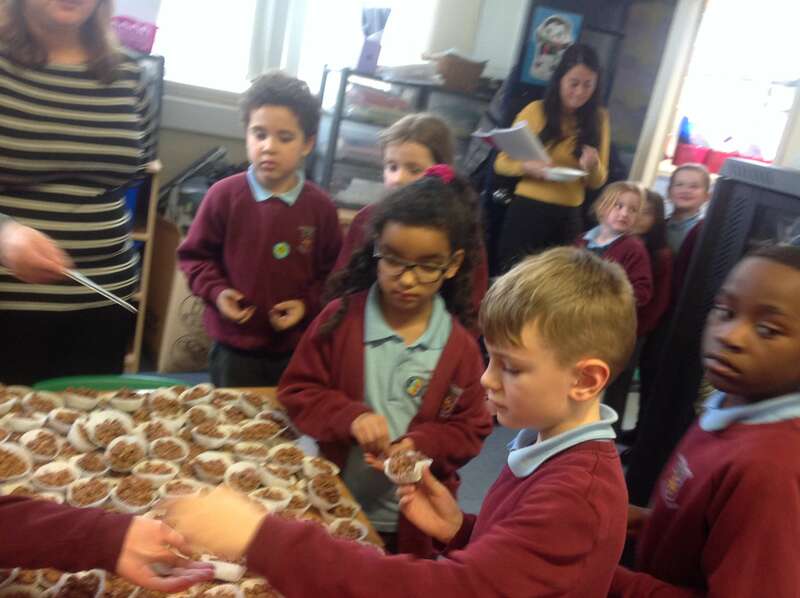 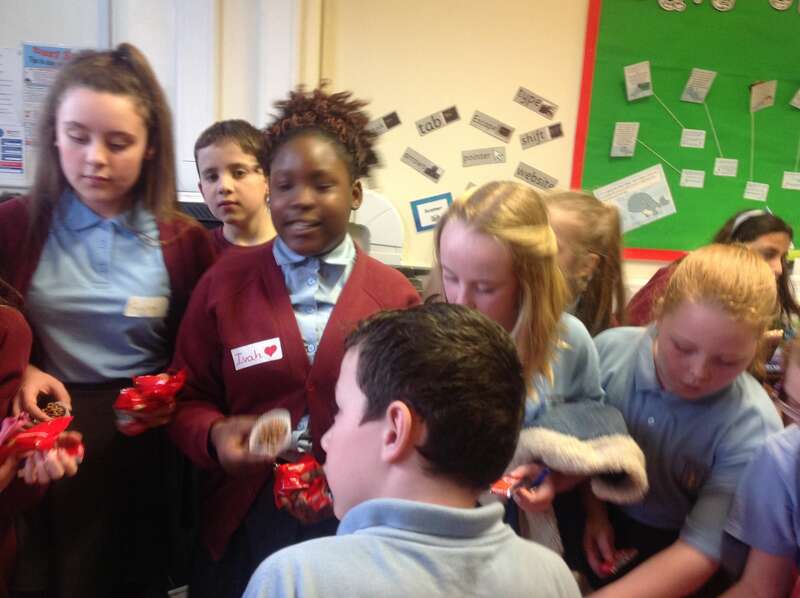 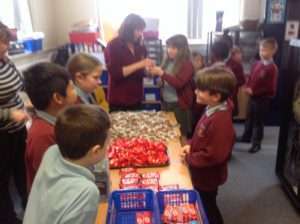 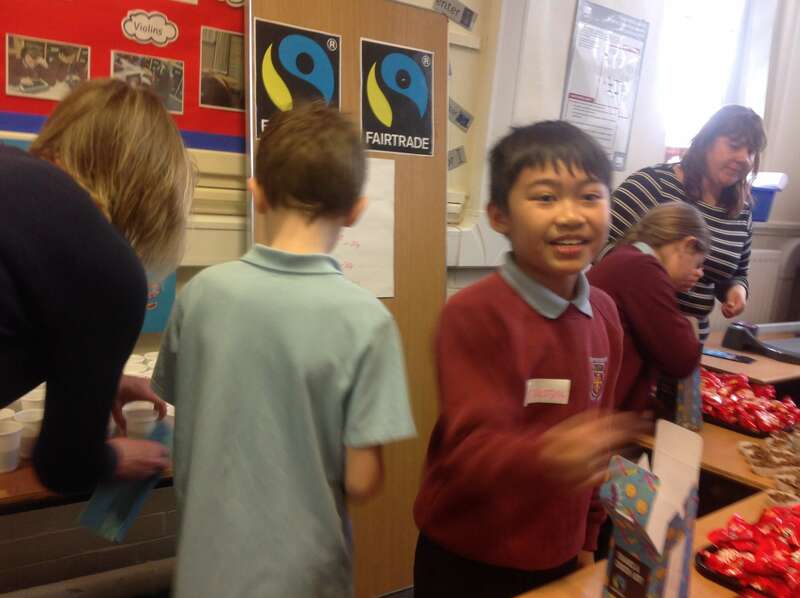 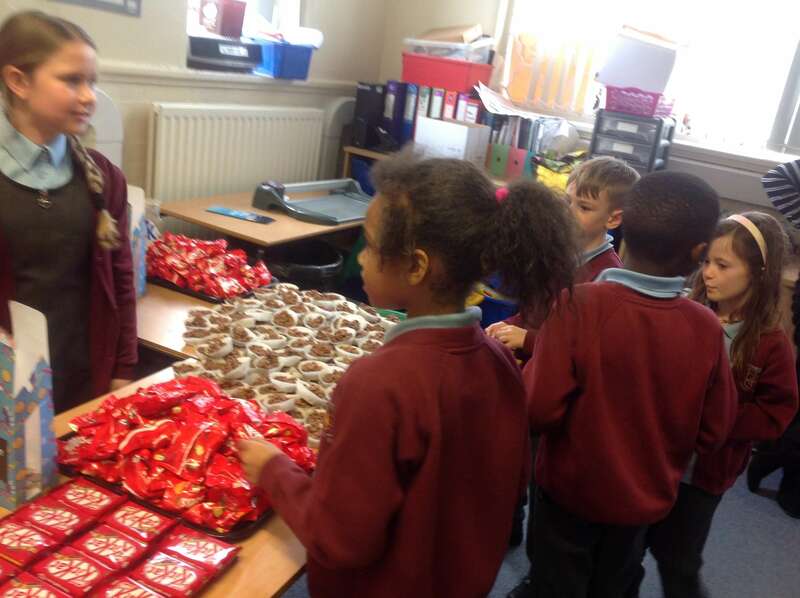 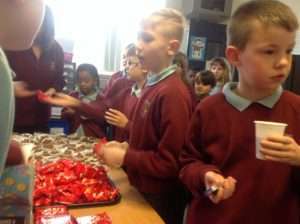 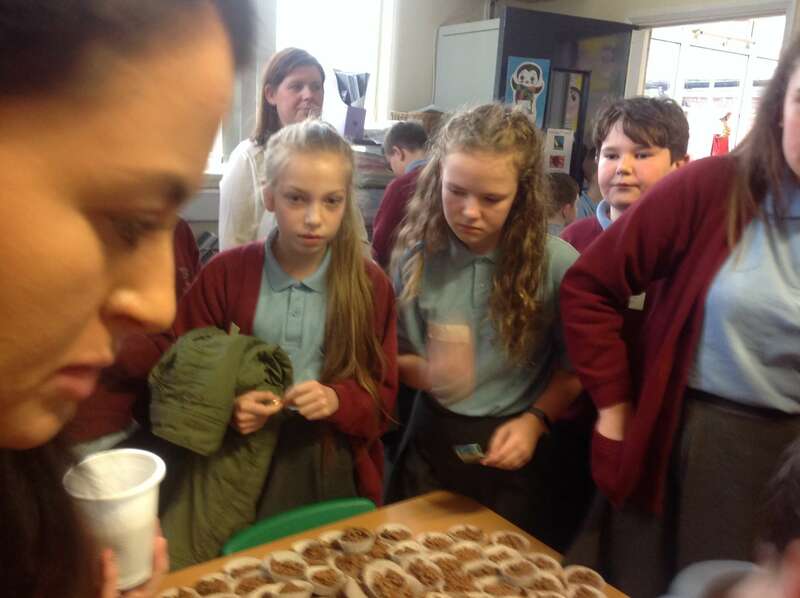 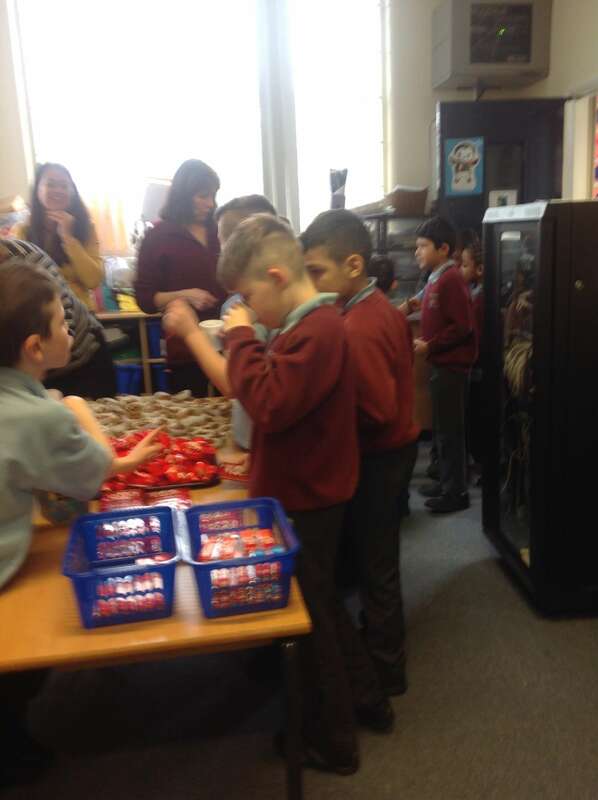 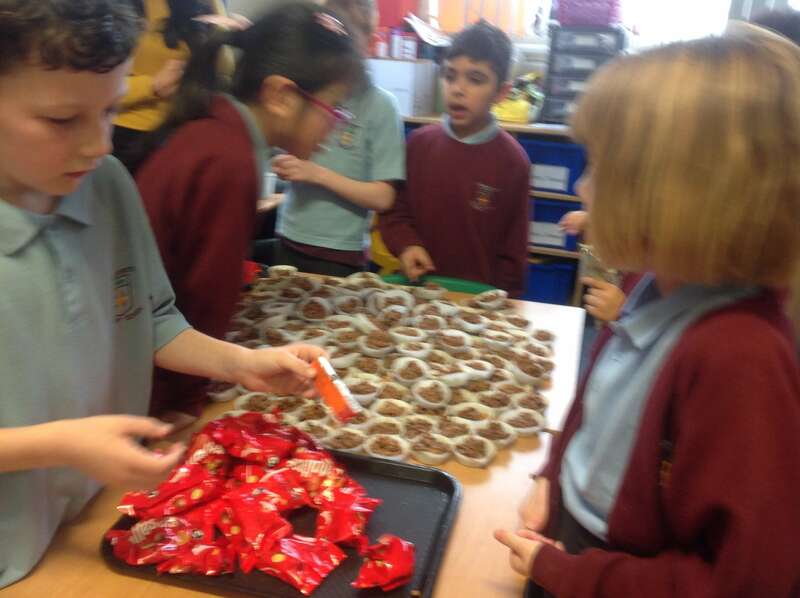 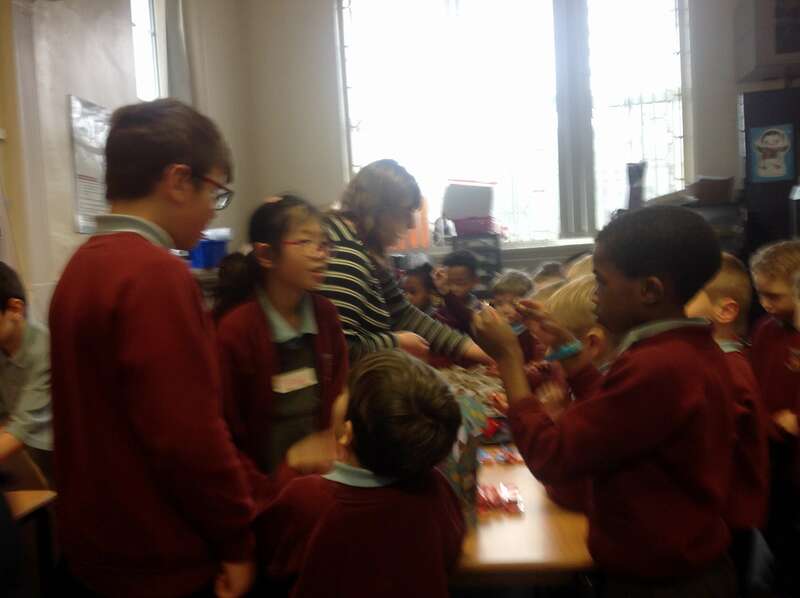 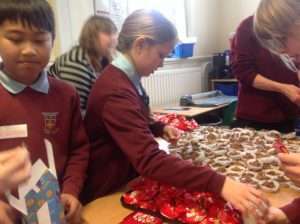 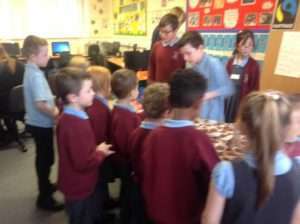 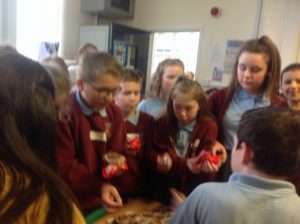 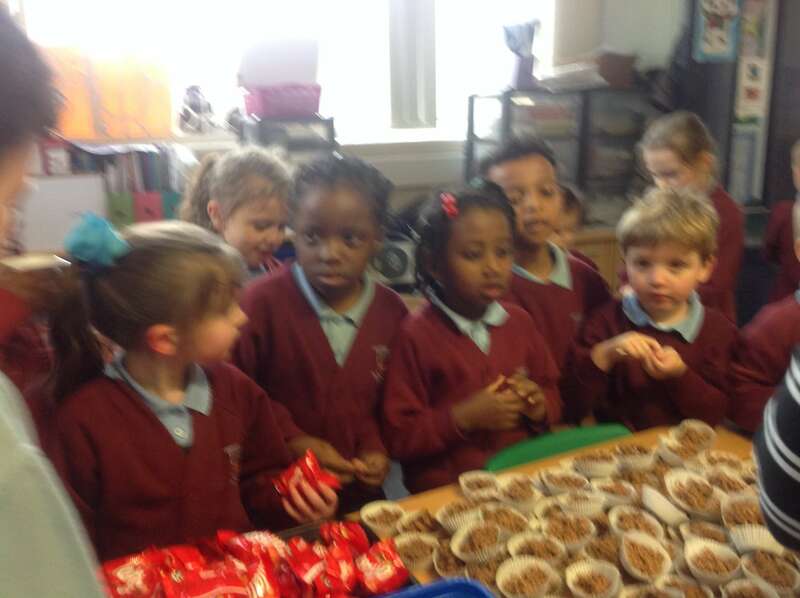 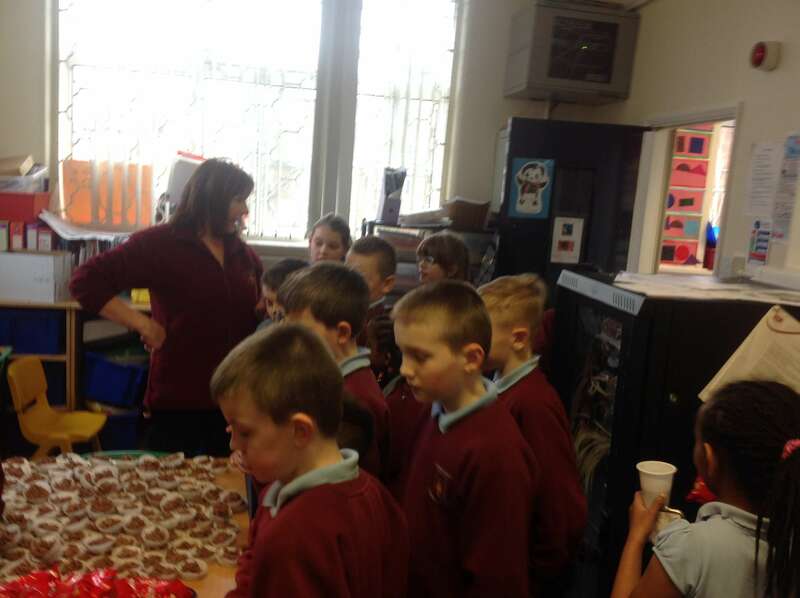 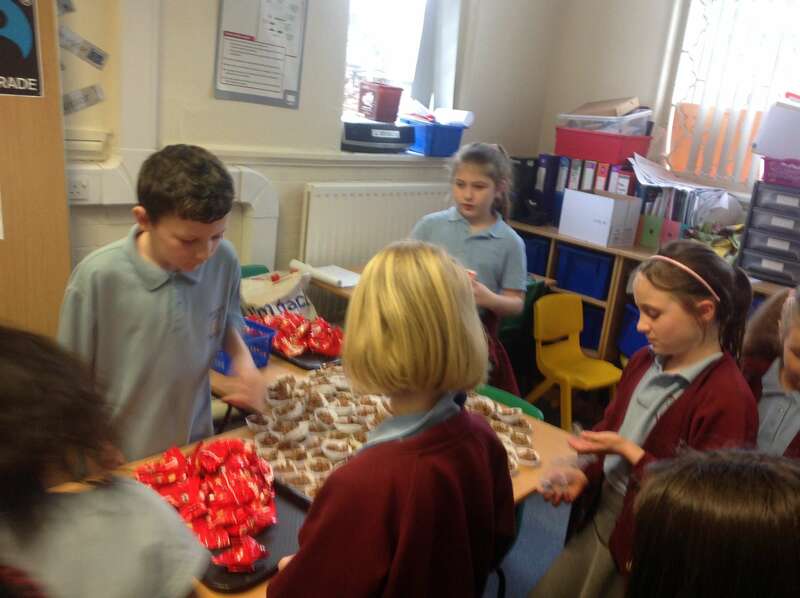 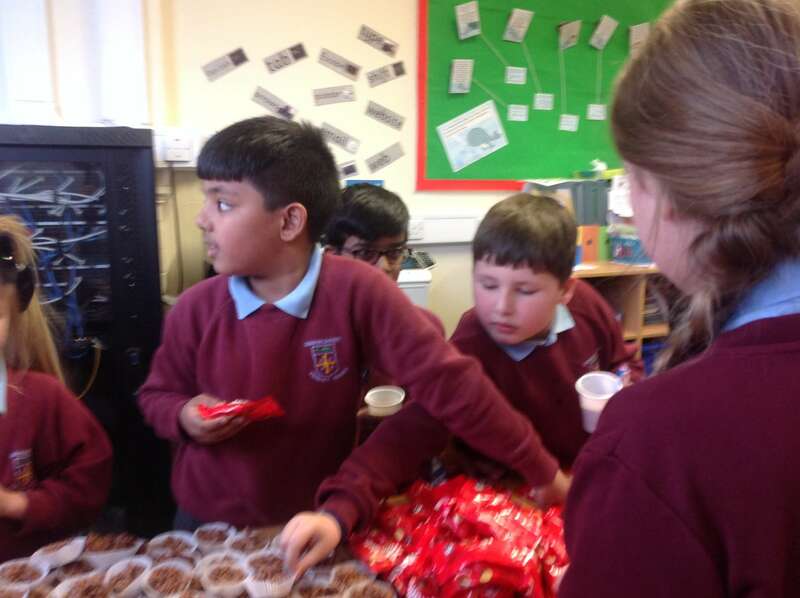 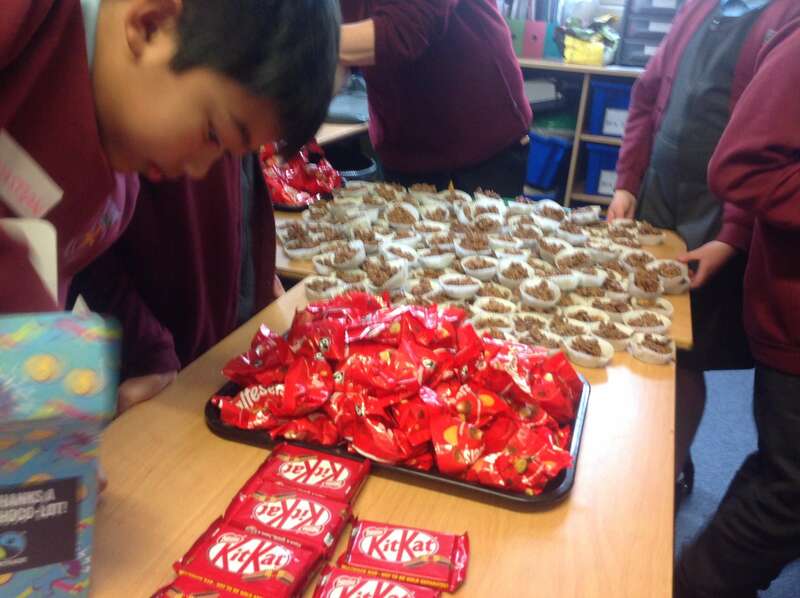 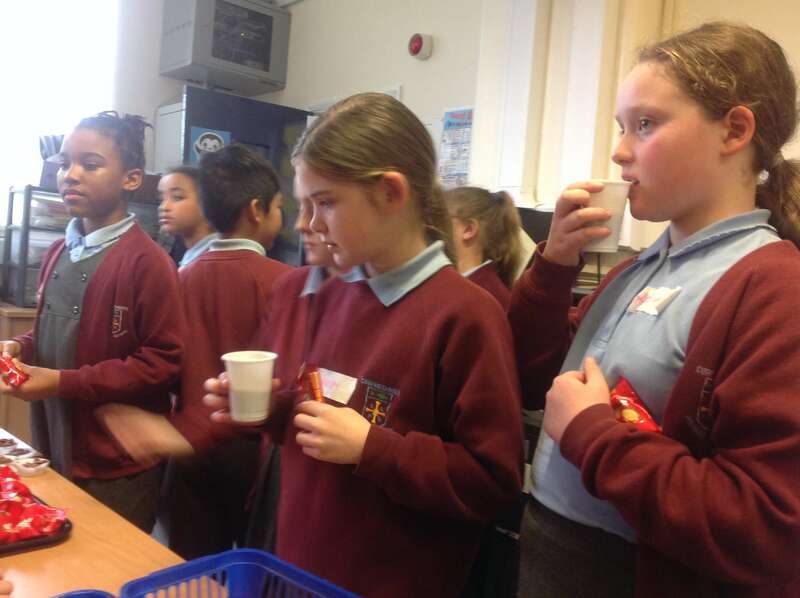 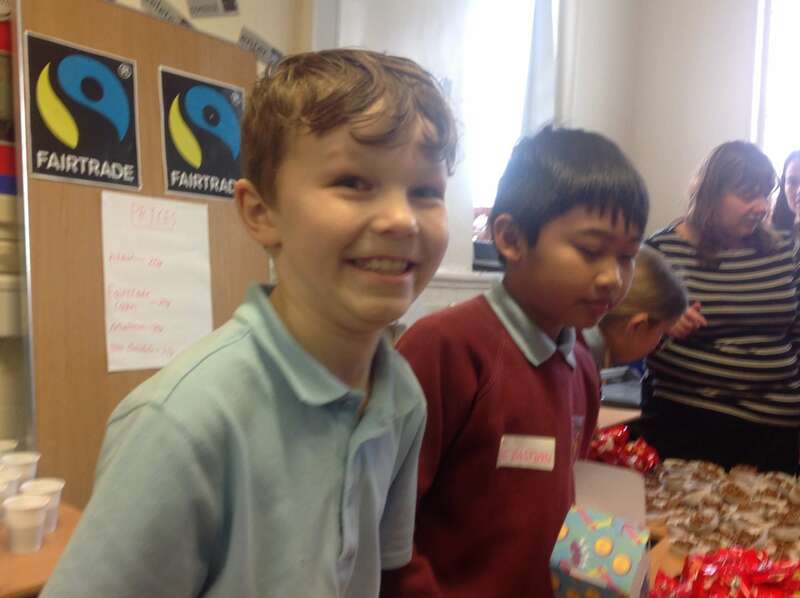 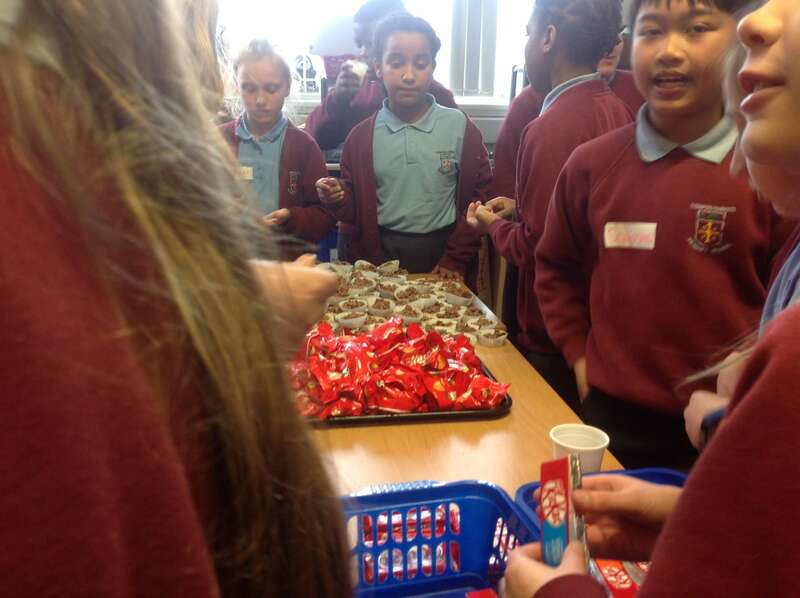 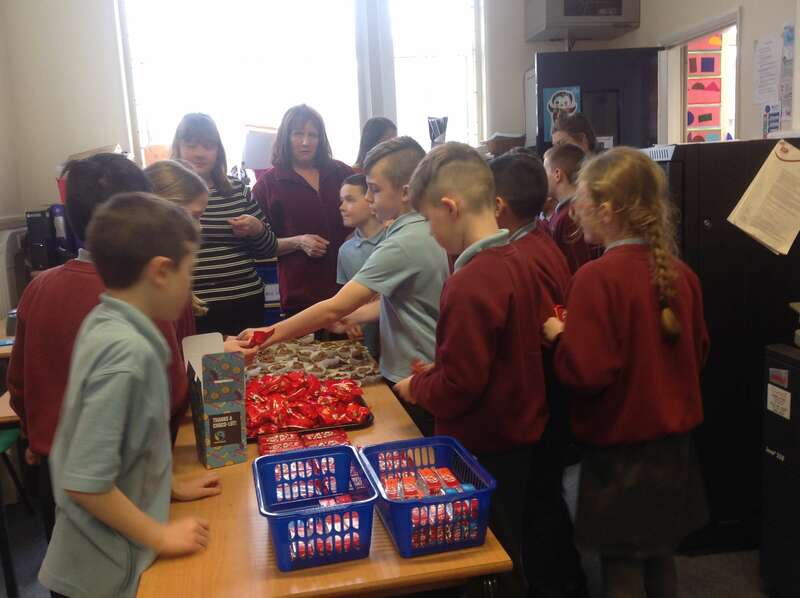 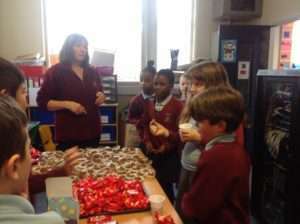 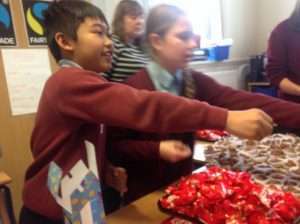 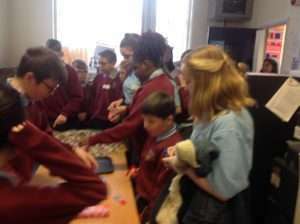 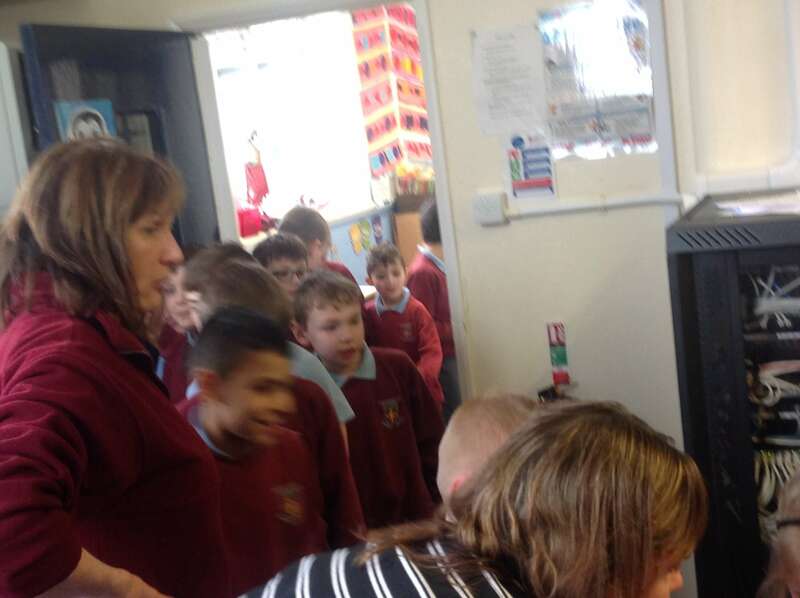 Last Friday, to celebrate the end of Fairtrade Fortnight, Corpus Christi had a chocolate stall! 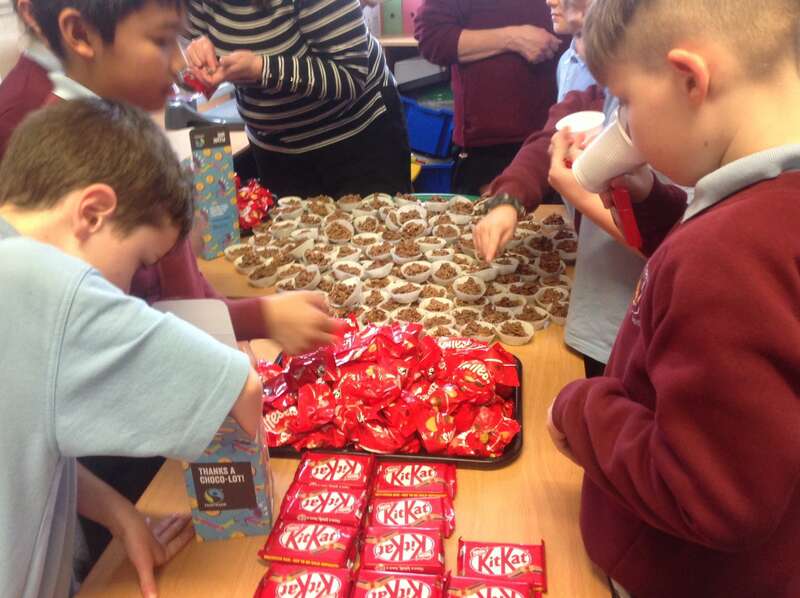 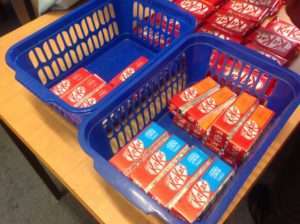 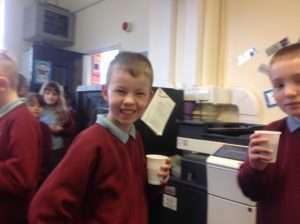 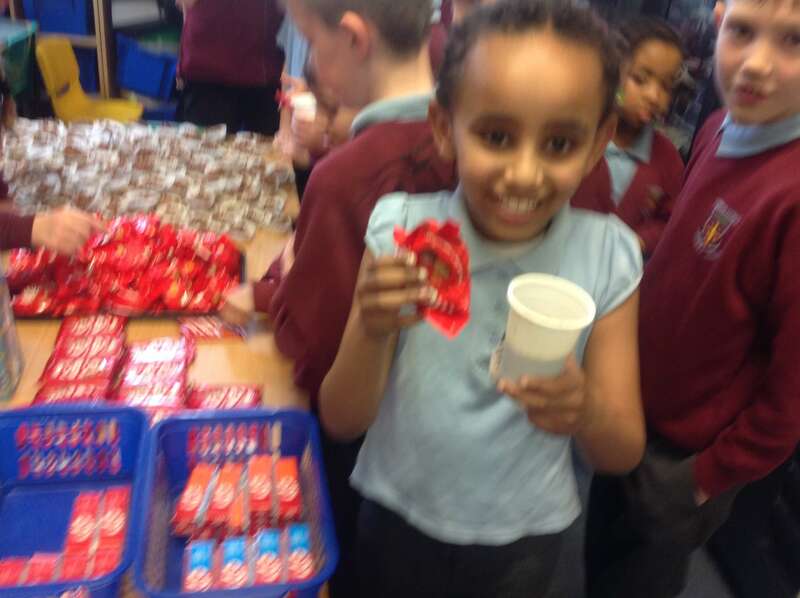 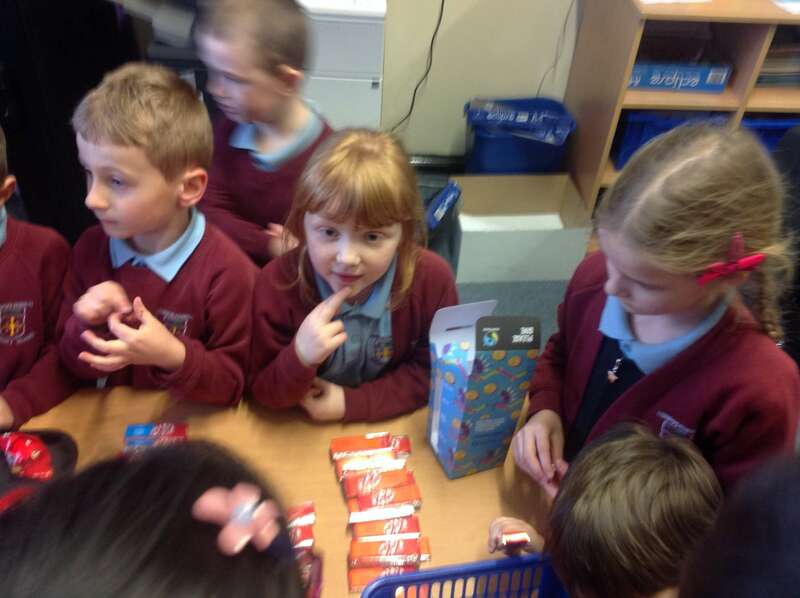 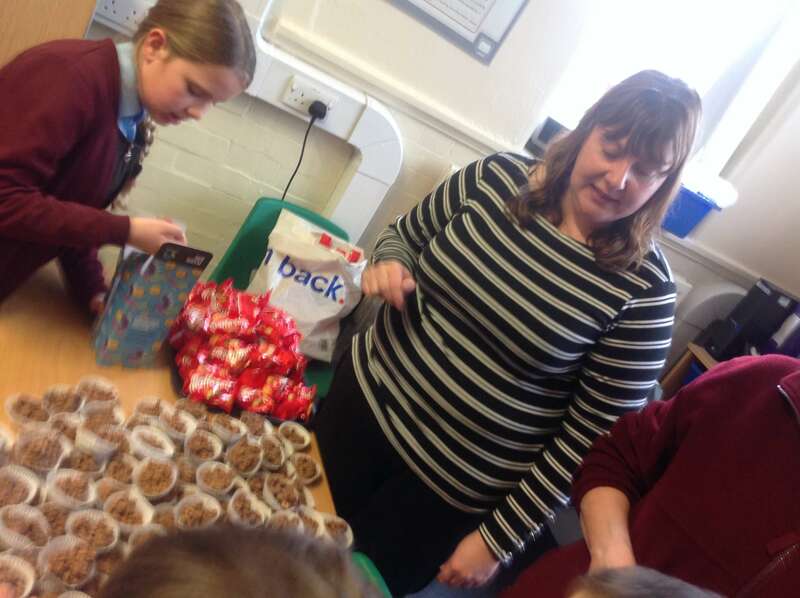 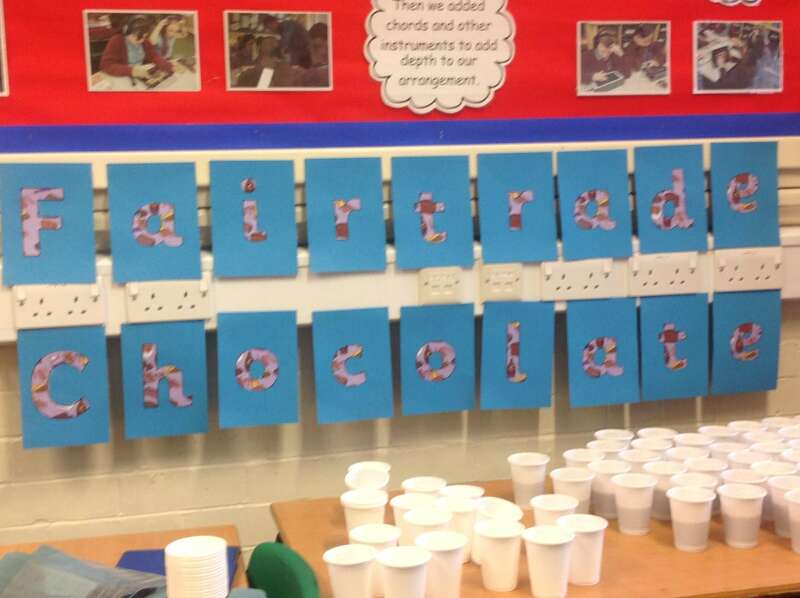 There was a range of products on offer, such as Kit-Kats, Maltesers, Fairtrade chocolate cakes and even yummy hot chocolate. 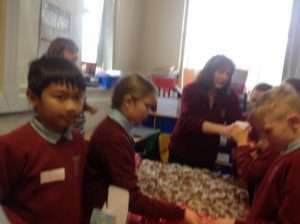 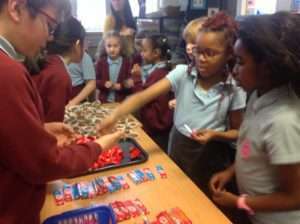 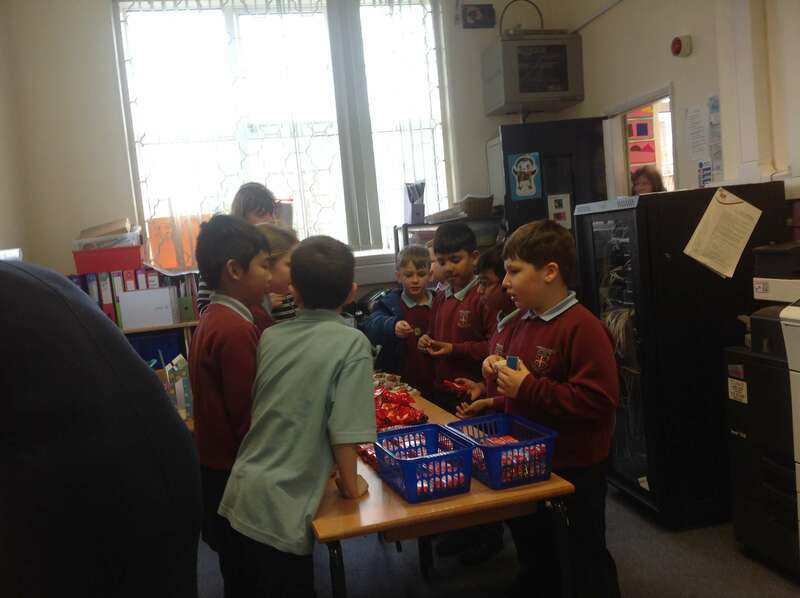 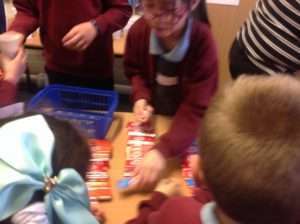 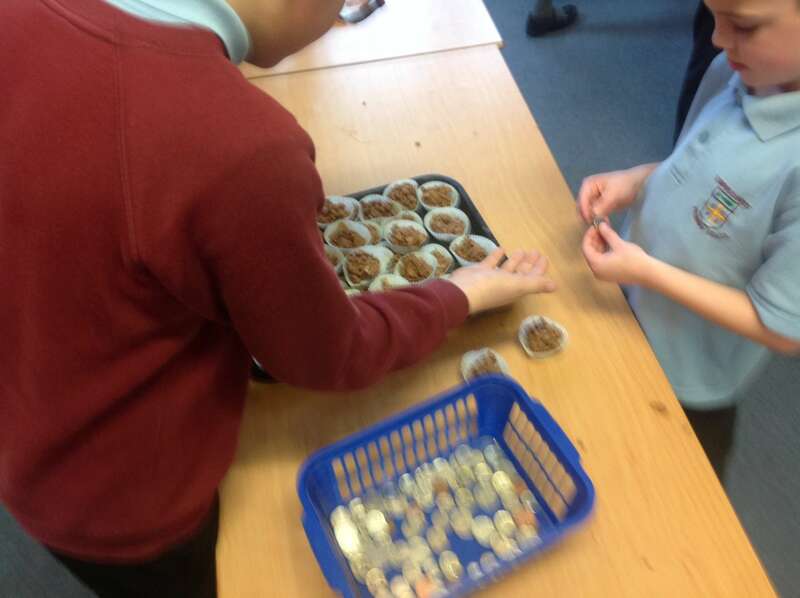 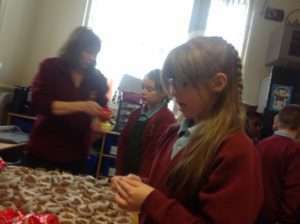 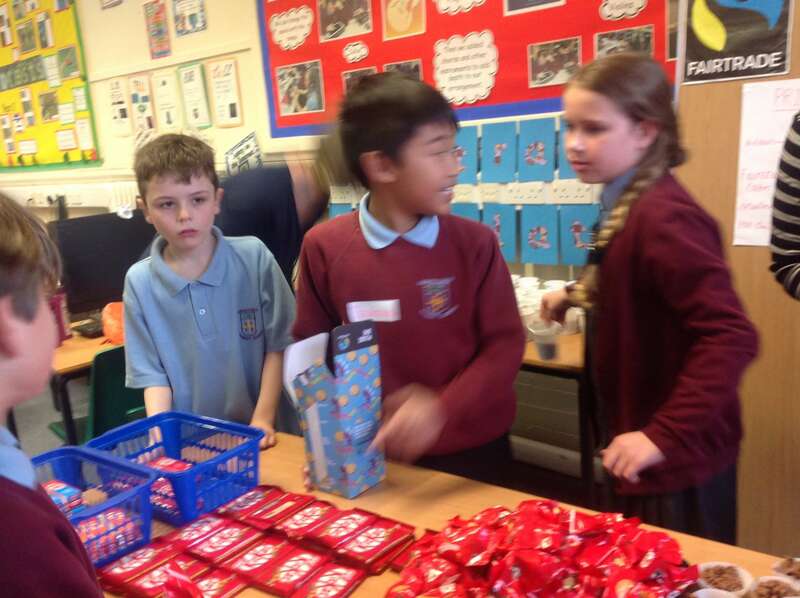 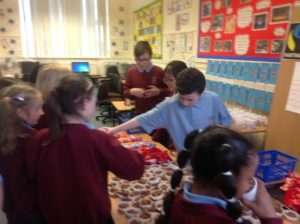 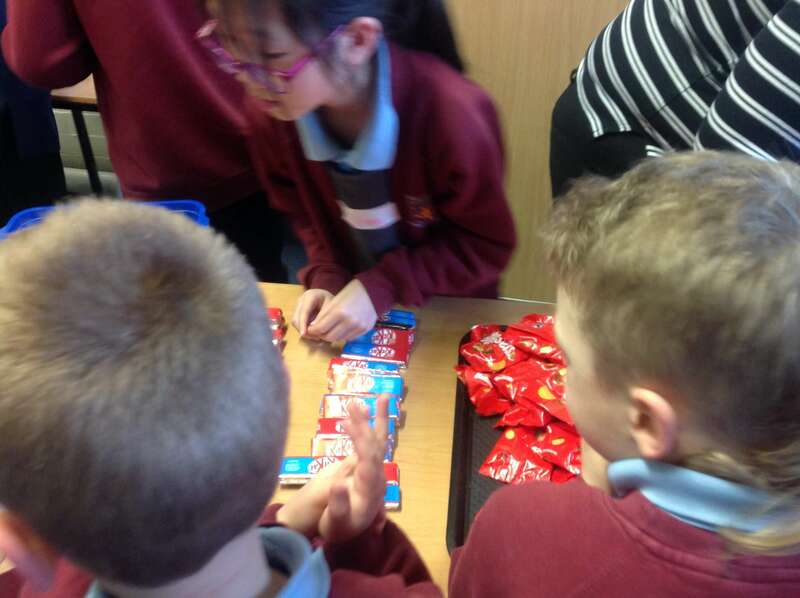 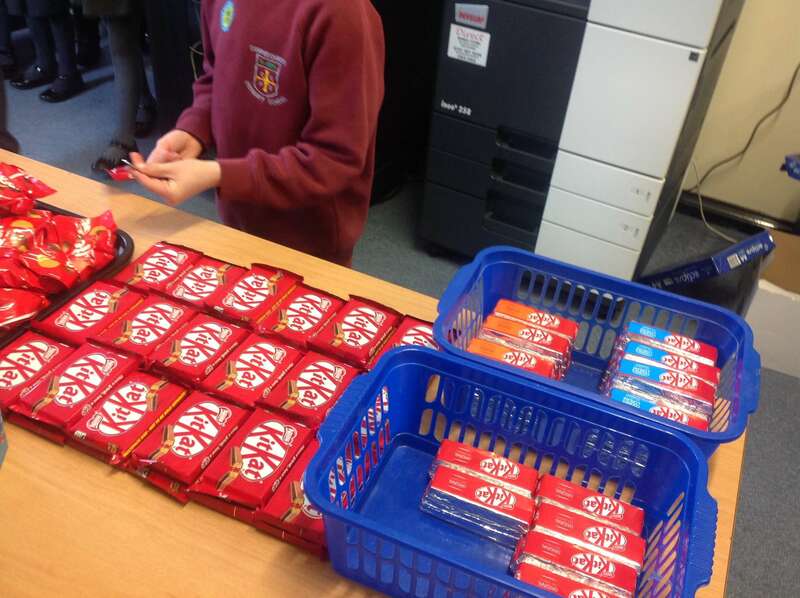 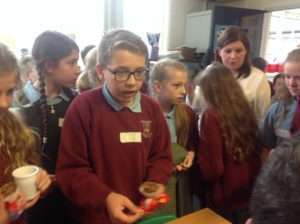 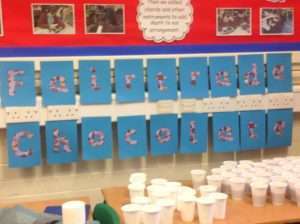 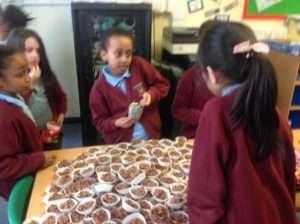 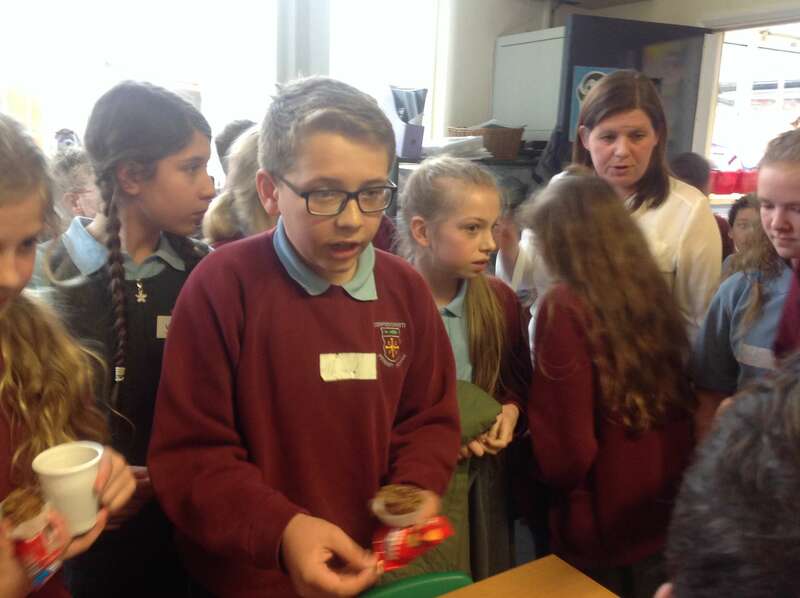 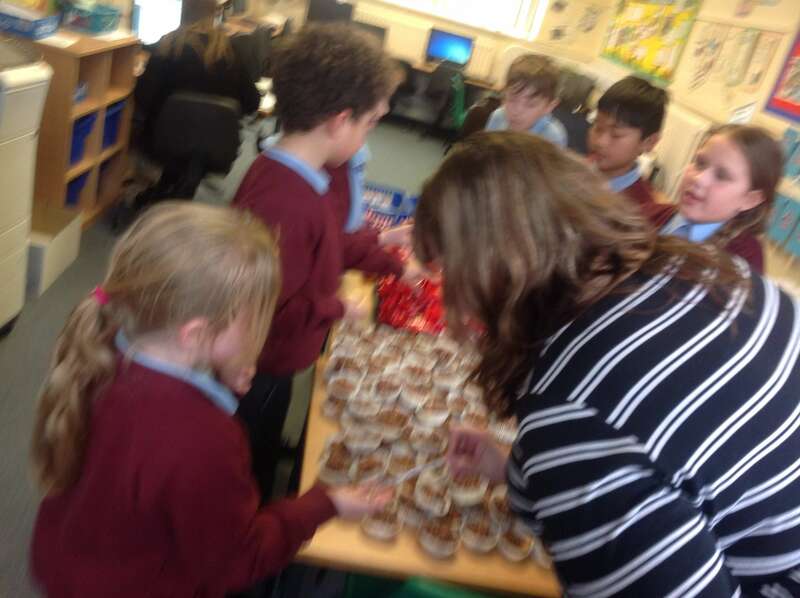 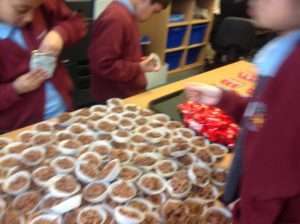 Children in Year 5 helped to sell the products.